gives the value of the specified property for the specified cartographic projection. gives the complete options for the default form of the specified projection. 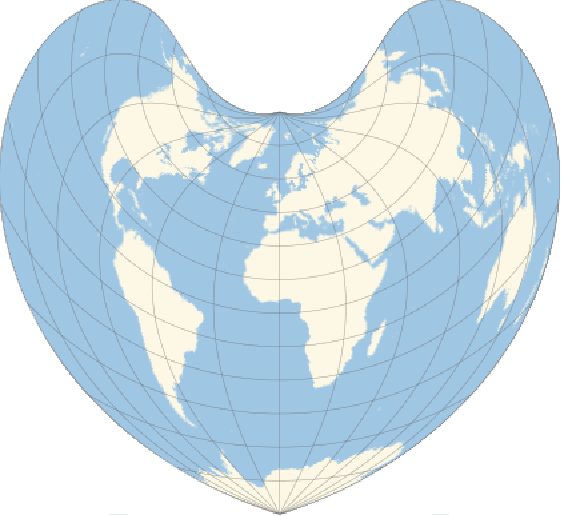 GeoProjectionData gives the list of available cartographic projections. GeoProjectionData["projection","Properties"] gives the names of all parameters and properties available for the projection specified by "name". GeoProjectionData["Classes"] gives a list of all supported classes of projections. GeoProjectionData["class"] lists all projections belonging to the given class. GeoProjectionData["proj","Classes"] gives a list of all the classes of which projection "proj" is a member. GeoProjectionData contains both general projections like "TransverseMercator" and explicit realizations of those general projections, like the members of the "UTMZone" family. GeoProjectionData["Spherical"] gives the list of all projections that refer to a spherical model. GeoProjectionData["Ellipsoidal"] gives the list of all projections that refer to an ellipsoidal model. GeoProjectionData supports all projections used by the US State Plane Coordinate Systems from 1927 to 1983. GeoProjectionData["SPCS27"] and GeoProjectionData["SPCS83"] give the names of all state plane zones. GeoProjectionData["UTMZone"] gives names for all UTM zones, both North and South zones. GeoProjectionData["UPSZone"] gives the names of the two UPS zones. For any state plane, UTM zone, or UPS zone, GeoProjectionData["zone"] gives the name and the standard parameters of the projection used. A geo projection proj can be used in GeoGridPosition[pos,proj] or in GeoGraphics[prims,GeoProjection->proj].